Earth Youth Environmental Society: Attention All Teachers! 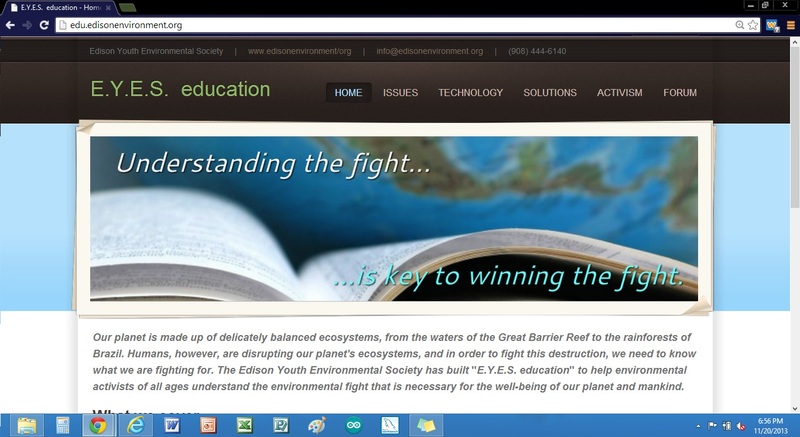 The Edison Youth Environmental Society is proud to announce that its new program, E.Y.E.S. education is scheduled to fully launch by January 2014! We are working hard to make sure students around the world have access to proper and accurate information on environmental issues that effect our planet, and we would like you to get your hands on this program first. E.Y.E.S. 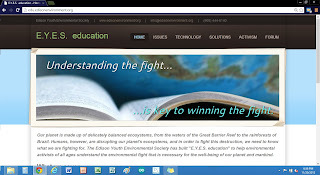 is offering a few teachers access to E.Y.E.S. education before anyone else does. The site is completely tested, but we want to hear your feedback before we fully publish the website. We have tried to incorporate an interactive system between studying and testing to ensure that both middle-school students and college professors can learn the important facts about our environment as well as use the site as a reference. If you are a teacher, we encourage you to teach your class about Climate Change and other environmental issues we face today. Even if you are not fully proficient in this subject area, all you need is E.Y.E.S. education. Please contact us or shoot a quick email to info@edisonenvironment.org to try our the program before anyone else.